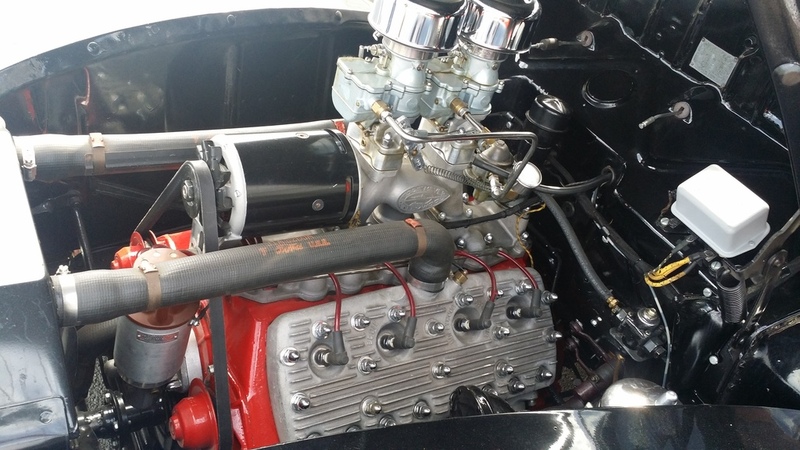 Eddie Meyer Heads and Dual Carb intake was REALLY cool. 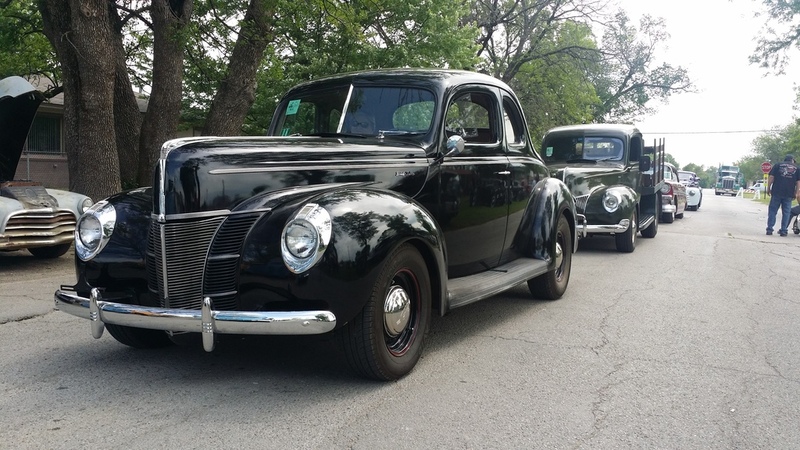 Since getting back from the Stray Kat 500, I’ve not been up to much, other than dreaming about that cool “Shine Runner” ’40 coupe, and the sweet flathead motor that he had in it. I’ve been dreaming of putting some head’s on the stock 221ci, considering a cam swap, and all kinds of expensive things, and then I realized I have a cool flatty already sitting in my garage! My “Forgotten Flathead” that I had no idea what was under the heads. 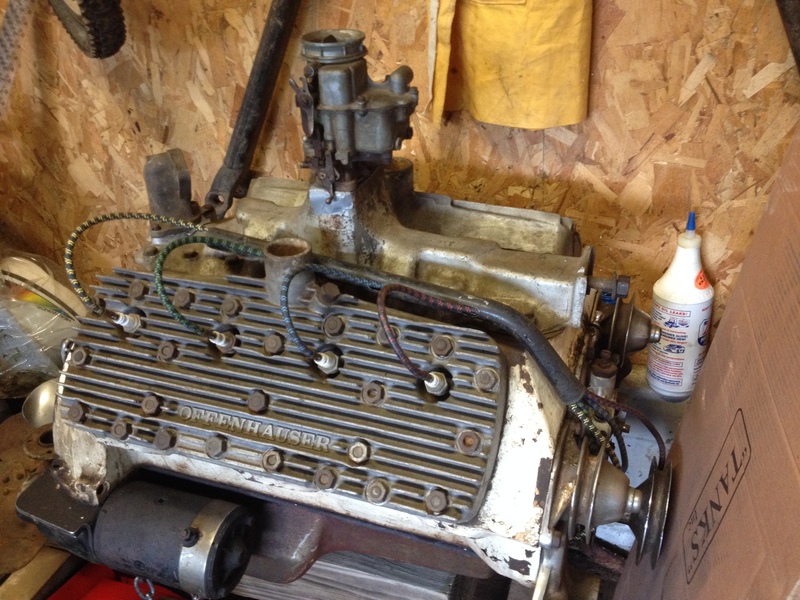 After letting it sit alone in the garage since July, I decided today was the day I was going to attempt to pull the partially removed head that needs to come off anyway, and assess what kind of work that really needs to happen to make it run. After a couple of hours of careful work, I finally had the head off. 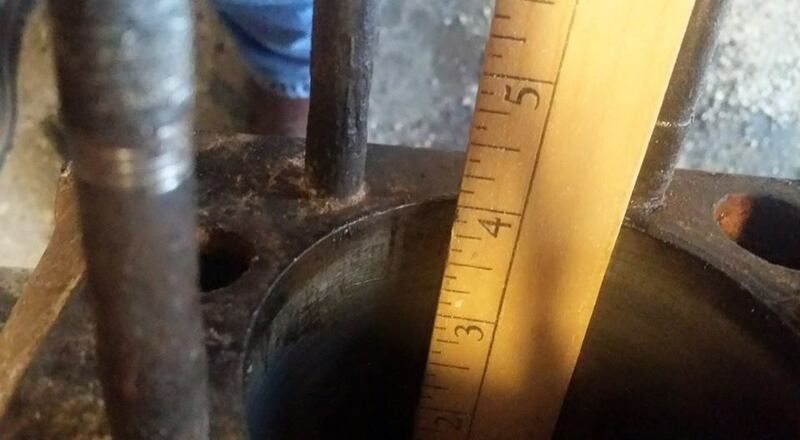 I pulled out my high tech measuring devices, and found I have a 3 3/8″ bore and a 4″ stroke. 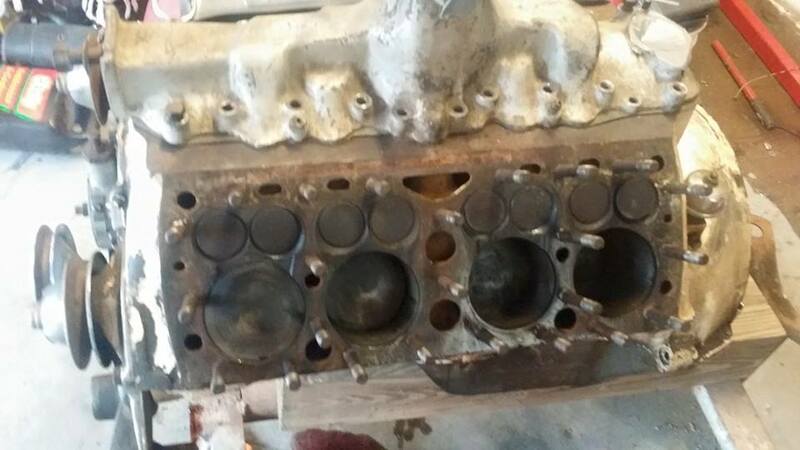 Equates to a 286ci flathead! Still don’t know what cam is in it, but that’s a heck of a lot bigger than 221ci! Head removed. 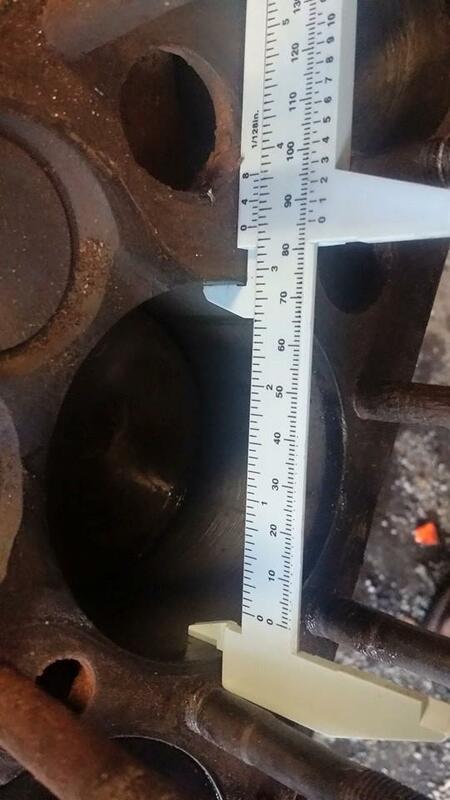 Shows it’s a ’46-48 block. And it has a 3 3/8″ bore! I know that it’s just a matter of time and temptation will get the better of me, and the swap will happen. Don’t know if it will be this winter, or a year or two down the road, but I can assure you that the flatty will be fired up before then, and I will hear it roar.